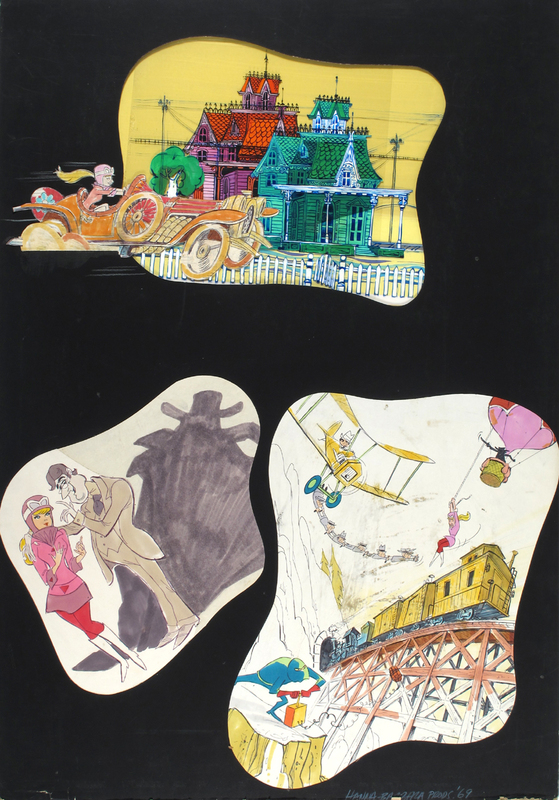 The character of Penelope Pitstop was created because of the absence of any females in the Hanna-Barbera cartoon series Wacky Races, which debuted in 1968. Her character was popular enough to warrant a spin-off one year later in The Perils of Penelope Pitstop. This series is set in the 1920s and is patterned after the “damsel in distress” motif. The diminutive Ant Hill Gang (also from Wacky Races) assists Penelope, who is pursued by the villainous Hooded Claw, voiced by character actor Paul Lynde playing against type.